Tecrea is the first Colombian company to develop certified IoT devices on the Sigfox network. It currently has a “white-label IoT product line”, which allows integrating different functionalities with solutions for the final consumer. Also, is a market leader company in the development of customized electronic devices and the Internet of Things (IoT) with extensive technological experience. Additional is specialized in developing products that transmit data in different communication networks for the IoT: Bluetooth, Zigbee, Xbee, Lora, Sigfox, GSM, EDGE (3G), LTE (4G), Wi-fi. 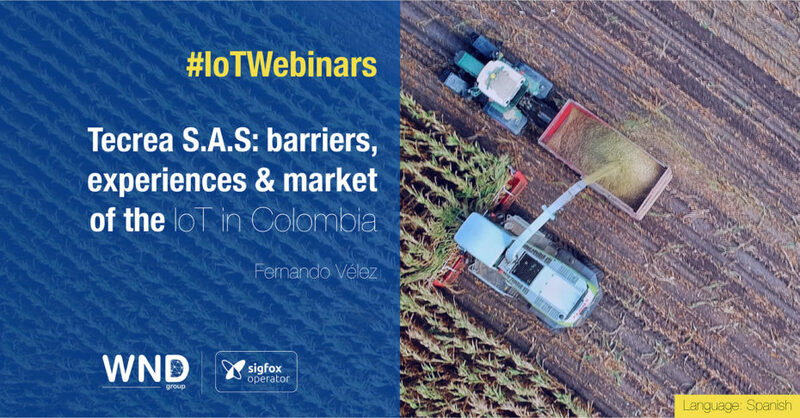 This webinar is about the challenges we have as an IoT industry, barriers, our experience as IoT leaders in Colombia, market needs in Colombia and Latam, engineering capabilities and internationalization.